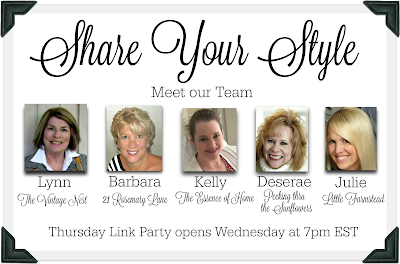 Welcome to the Vintage Nest and our Share Your Style Party #57. Your host this week is Kelly but before we start, I wanted to fill you in on this past week. My first Vintage Home Market of the year was this past weekend.....so much work getting ready for a show that is a hundred miles away, preparing, packing up, setting up and hopefully making a presentation that wows the customers. 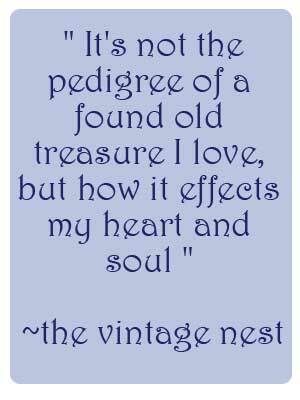 All the hard work is so worth it though when you meet so many wonderful customers who appreciate what you do. The show was a great success and I arrived home tired and happy. Things had sold well in the shop while I was gone, so Monday morning it was off to fluff and fix and add new items to my booth. 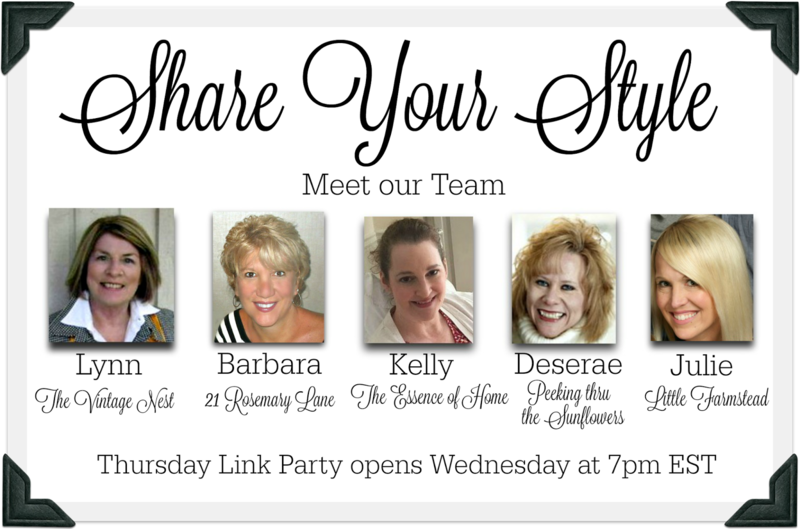 I'm so glad that you can join us for another fun week of Share Your Style. I'm Kelly from The Essence of Home and I am your host this week. Finding Grace Interiors blew me away with her great sewing skills and creativity! She made this darling ottoman slipcover and even stenciled on a French design. I love it! 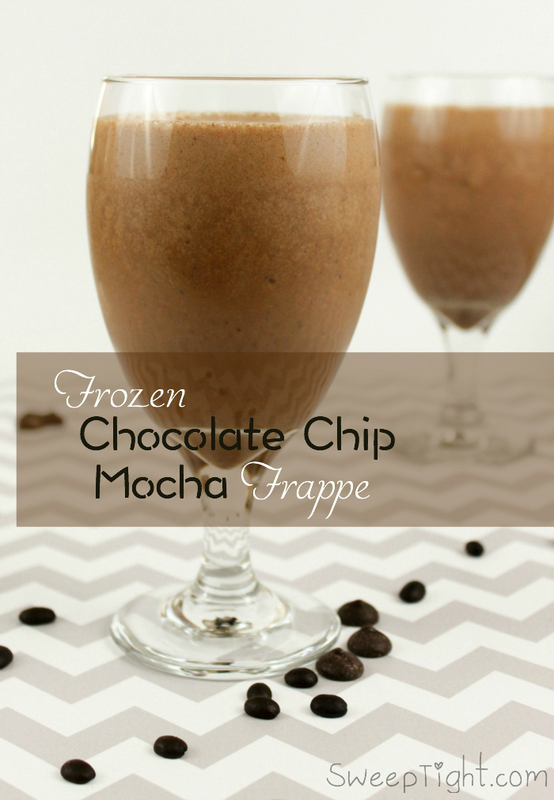 Sweep Tight shared this yummy recipe for a frozen chocolate chip mocha frappe. I have such a sweet tooth. I may have to whip this up. It looked pretty easy and can even be healthy when you add protein powder to it! 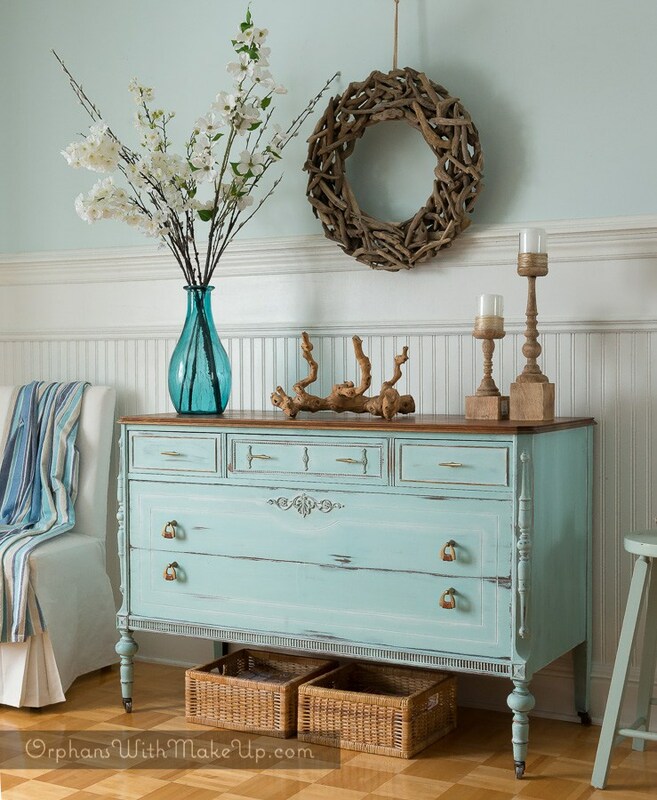 Orphans with Makeup shared this beautiful furniture makeover using the prettiest shade of paint called Ocean Breeze. With the warm weather we've been having where I live, I must have summer on my mind! 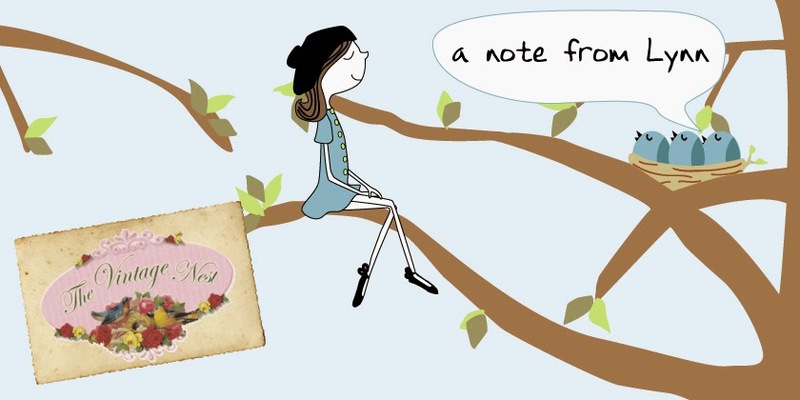 If you were featured, I would love for you to copy and paste this "featured" button on your blog! Now, I'm ready to see what new things you have to share with us this week! Please remember to include a link back to this party on your post. I'm so glad your booth was a wonderful success! I know you worked hard to prepare...and then the travel, setting up and socializing is all hard work, too! yay! Thanks for the party, Lynn! I remember the first shows of the year were always so filled with anticipation and a bit of fear. 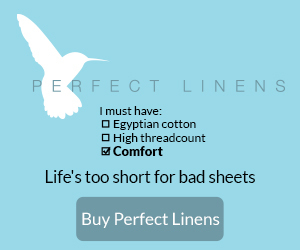 Will my new ideas translate to sales---and will my customers be pleased. Hope it was all wonderful.